I wanted to let you in on something I struggled with this past year. I had gestational diabetes. I will admit that saying that to the world is not an easy thing for me. For those close to me this is no new news, but this is something I was embarrassed, scared, afraid, ashamed to admit to most people. I’m writing this today to hopefully let others struggling with it know that IT’S OK and IT’S NOT THE END! 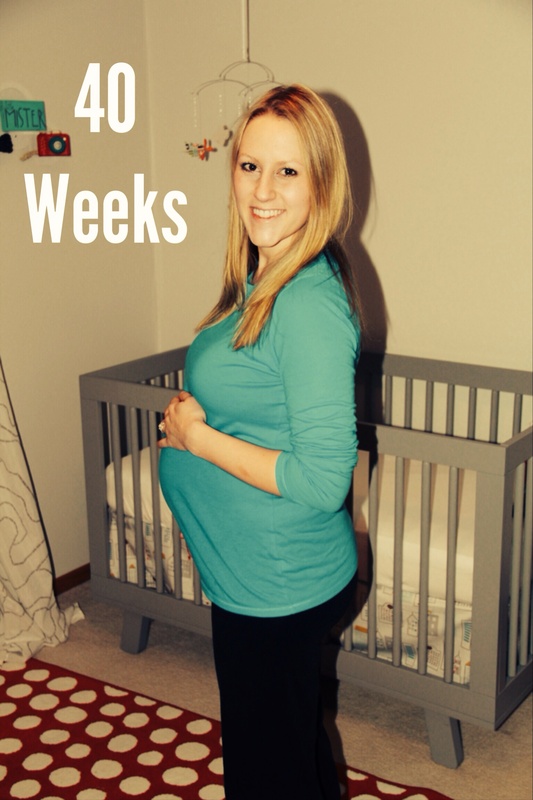 I was 30 weeks pregnant when I was diagnosed with gestational diabetes. For me it wasn’t even a consideration or thought that I would end up with this. I’ve always maintained a fairly healthy weight and lifestyle….clearly I was immune right? WRONG! I’ll never forget being in that little exam room and the nurse telling me rather inconsiderately, “There’s no getting around these numbers. Looks like you for sure have diabetes.” No sugar coating, no prettying up the news- just you have a disease. For me up until this time in my life I associated the word diabetes with being overweight, something within your control, or something you were born with. How could this happen to me? The news hit me like a freight train running straight through my pride and self esteem. It was at an appointment I attended on my own without my husband so there was no one there to hold my hand and tell me it was ok. That was the hardest morning of my life. This was my first pregnancy, I happened to have a terrible cold so I felt awful already, I was hungry from fasting for almost 12 hours ( which is torture when pregnant), I had to drink that disgusting glucola drink and be poked 4 times, and then I get this horrible news. I don’t think I stopped crying for a full 24 hours after that. Even though people tried to comfort me, it didn’t help and I truly felt the lowest I’ve ever been in my life. I was ordered to see a dietician and a nurse to train me on taking my blood sugars. Thankfully my husband was able to go to those appointments with me. We learned all the foods I was to eat and what to avoid which was a whole new world to me. I always ate fairly healthy, but this was taking it up a notch. I had to say goodbye to all carbs. No breads and no sweets all during Thanksgiving and Christmas = total bummer in my book! I did learn that sugar makes up the majority of carbs in foods. I now entered a stage of eating lots of veggies and protein. I think I seriously lived off cheese and peanut butter for the last 10 weeks of my pregnancy. The point of this was to ensure I didn’t gain too much weight and for a while I felt paralyzed by that fear. With the support of my husband, family and friends I was able to maintain a healthy diet and weight throughout the remainder of my pregnancy. Know IT CAN BE DONE! We also learned some new facts I didn’t know about this disease that forever changed my perspective and opinion when I hear the words gestational diabetes. This is the part I feel I need to share with those walking through the diagnosis. First and foremost….IT’S NOT YOUR FAULT! There is no way to prevent it. It’s an imbalance caused by the pregnancy hormones that effects the way your body uses insulin. The hormones slow down your insulin which in turn causes sugar to stay in your blood longer than normal. When this happens, the high sugar goes to the baby and he or she fattens up. That’s why most people have larger babies when they have gestational diabetes. Again, there is nothing you can do to your hormones to prevent it. Once you know that your body is functioning this way though you do have the power to control it! I am a testament to that fact being on the other side now. The main motivation for eating well and exercising wasn’t just for my benefit now but for my baby’s health as well. 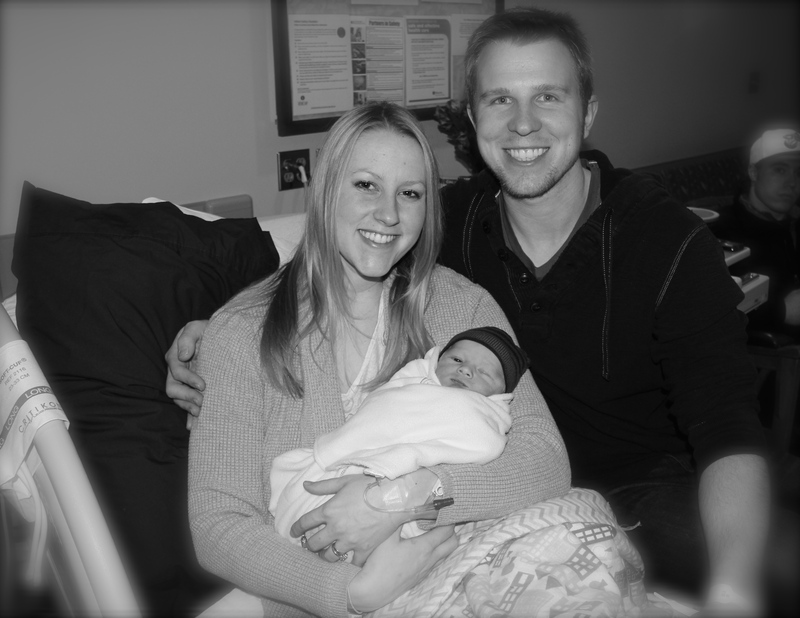 In the end I had a healthy 7 pound baby boy and I will say all that hard work was worth it! 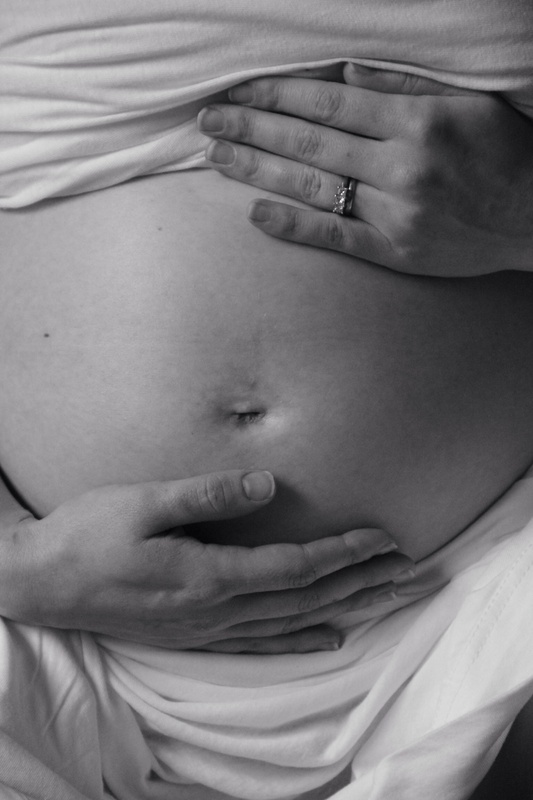 1 in 10 women get gestational diabetes. I kept saying that I was the lucky one! None of my other friends have had it before, which initially made me feel all the more embarrassed and self conscious. I felt like I was a failure in some way because I was the only one to ever walk through this. Once I started researching more about it, I learned that it happens to other people too, and that it’s nothing to be ashamed of. I had only one of the many risk factors that usually lead to a higher chance of getting gestational diabetes; I was over the age of 25. Other risk factors I didn’t have for this disease include: being overweight prior to pregnancy, being Hispanic or African American, and having a family history of diabetes. It was simply something God had written into the story of my life, and I do believe it was to help break down the prejudices and presumptions I had about gestational diabetes. For this reason I felt God was saying I need to share my experience so that others can know YOU ARE NOT ALONE. The most important lesson learned was, that I need to rely on God to help define who I am, which is a dearly loved child of God. It didn’t come right away and I felt I had figured it out after lots of kicking and screaming. Being born into a certain household, being fat or skinny, having a singing voice, lacking baking skills, knowing a second language, or being diagnosed with a disease doesn’t have the power to define me unless I give it that power. I had to choose to give up my pride and claim the right that is freely given to everyone-knowing I am loved undeservedly because of Jesus’s finishing work on the cross. 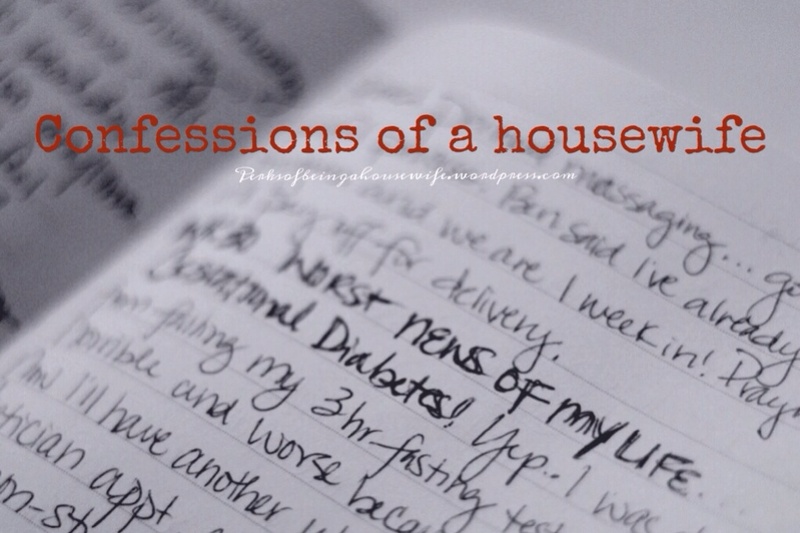 In my journal I wrote down these words, ” I need to remember that this doesn’t define me and I’m not a slave to the label of gestational diabetes. It’s not my god and my God has a plan and purpose for me going through this- It’ll all be ok.” The verse Jeremiah 29:11 came to my mind over and over. For I know the plans I have for you,” declares the Lord, “Plans to prosper you and not to harm you, plans to give you hope and a future.” More helpful verses included: Psalm 28:7 The Lord is my strength and my shield; my heart trusts in him, and I am helped. 2 Corinthians 12:9 But he said to me, “My grace is sufficient for you, for my power is made perfect in weakness.” Therefore I will boast all the more gladly about my weaknesses, so that Christ’s power may rest on me. Having faith in the God of the universe truly helped me get through this dark time in my life, and the same power can be given to anyone who believes and asks for it too. SEEK GOD AND YOU’LL FIND HIM. So having been through this, I now know how to poke my finger like no-one’s business, I know what foods contain lots of protein, how it feels to be diagnosed with a disease and that it’s best to not wallow in the disappointment, but to approach it with dignity and grace. I’m not saying I didn’t have to grieve a little, but when I finally gave up my pride and gave my concerns over to God- I began to heal and get through it. More importantly I now am not so quick to judge others knowing that God requires each of us to walk through things in life that aren’t necessarily our fault and which don’t diminish our value or worth. I truly hope this will help someone out there struggling with this diagnosis. I honestly felt God telling me that this experience wasn’t just for me, but that I needed to humble myself and to share it so that someone else may be encouraged as well. This may also help remind others too that a label shouldn’t define who a person is and that we need to be sensitive to people walking through things, giving up our prejudices and stigmas. I am now a mother to an amazing little boy and am diabetes free! That’s some more great news to know, after delivery- IT’S TEMPORARY. For the majority of women, once the placenta is delivered the diabetes goes away. I know that I have a greater chance down the road to be diagnosed with Type 2 Diabetes and get it again with any future pregnancies. I am glad though that I know now how to approach it if God deals me that card again. For anyone who is currently going through this or has gone through it- I’d love to share my experience with you. Thanks for letting me open my heart to you through this post…sharing truly is a freeing thing. Hello! I was gest diabetic with my first in 2012 and just diagnosed again with my second at 8 weeks. I’d like to think I learned alot the first time and am stronger this time but so far my experience this time is very different. My numbers are much higher and am looking at the possibility of needing medication this time, which I didn’t the first time. There is still fear and still grieving but God is still God and lessons are fruitful in perfecting us. I feel like He is removing false comfort and control from my life. This time around I feel like the numbers are beyond even my diet and exercise controlled life. Feeling a little defeated at the moment but I know I will be okay. Came across your blog and it encouraged me; I remember those early days of diagnosis! Thanks for sharing your story! THANK YOU for your note! May I first and foremost say that I admire your bravery and openness with sharing your story. It took a lot of courage to write down my experience and be open to sharing it, so I thank you for doing the same. I am grateful to know that this post has reached someone and encouraged your walk through this pregnancy. I am sorry to hear things aren’t going as smoothly the second time around as you had hoped. I sent up a prayer asking God to come alongside you as you navigate how to handle your high numbers. May He protect your little one growing inside and may your Drs be wise and helpful to you. I prayed God would encourage and strengthen your heart and bring about words of wisdom and people to lift you up during this time. You are dearly loved and He will never leave you nor forsake you! Thank you again for sharing your heart and situation. Your note was also a blessing to me and an answer to prayer for the heartbeat behind this blog. Take care!